They came without warning, squawking menacingly, their ruffled feathers darkening the sun. 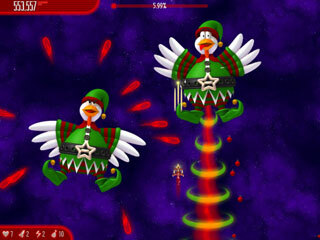 Invading intergalactic chickens, out to punish humanity for our oppression of their earthly brethren. Now they\'re back, and they\'re having Earth for dinner! Fight the fire and save the lives of many. Become a fireman in the brand new action-logic game! Your task is to get to the center of the fire in the house,extinguishit and save the lives of desperate tenants.